Married and unmarried women who owned property in British Columbia were allowed to vote in municipal elections, but not to hold office. Female property owners in Manitoba win the right to vote in municipal elections. However, neither that class of women nor any other women at the time were enfranchised at any other level. Female property owners in Manitoba win the right to vote in school board elections and the right to serve as school trustees. Amelia Yeomans and the Manitoba chapter of the Woman's Christian Temperance Union (WCTU) petitioned the provincial government, calling for women to have the vote. When this petition was ignored, the WCTU sponsored what would be the first mock parliament in Canada. The mock parliament was a powerful medium in which suffragists made their arguments for the right to vote. These events were also organized to raise funds and public support for suffrage organizations. The Woman’s Christian Temperance Union hosted a mock parliament at the Bijou Theatre in Winnipeg. Dr. Amelia Yeomans acted as the “premier,” arguing for women’s enfranchisement. Other attendees included Nellie McClung and E. Cora Hind. The performance was one of four mock parliaments held in Manitoba. Dr. Amelia Yeomans and E. Cora Hind announced the formation of the Equal Franchise Association (also known as the Equal Suffrage Club) at the end of a Woman’s Christian Temperance Union meeting in Winnipeg. Yeomans believed that prohibition might alienate possible suffrage supporters (including men) and that suffrage should be a separate movement. She was the club’s first president. Women’s rights advocate Louise McKinney founded the first North-West Territories chapter of the Woman’s Christian Temperance Union in Claresholm, NT (now Alberta). Though the WCTU worked to prohibit alcohol, it was also provided fertile ground for the suffrage movement. McKinney would go on to be part of the “Famous Five,” known for their work in the Persons Case. Victoria’s Local Council of Women voted to endorse women’s suffrage. It was the first women’s council in Canada to do so. The Victoria council’s endorsement, under the presidency of Cecilia Spofford, was surprising because the National Council of Women would not do so until 1910. Victoria’s Local Council of Women held a mock parliament. Both the lieutenant-governor and the premier of British Columbia attended the performance. The mock parliament was one of two organized by BC women’s rights advocates during the suffrage movement. The University of British Columbia Women’s Club in Vancouver also staged a mock parliament that year. The British Columbia Political Equality League (BCPEL) held its inaugural convention. The League included women and men as members. The Vancouver and Victoria Political Equality Leagues would form the core of the BCPEL, hoping to make suffrage a province-wide movement. 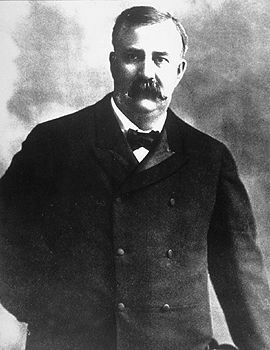 Vancouver’s mayor led the meeting during which he proclaimed his support for suffrage. The inaugural meeting of the Vancouver Political Equality League (VPEL) was held at the city’s Theosophical Hall. Maria Grant led the meeting, though the first elected president would be Woman’s Christian Temperance Union activist Florence Hall. The women chose not to use “suffrage” in their name to avoid the word’s increasing infamy. 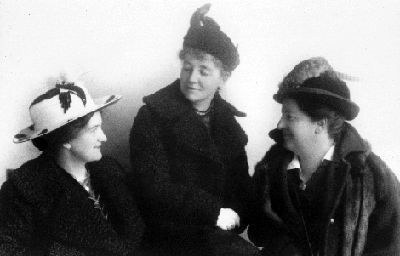 Nellie McClung, E. Cora Hind, Francis Beynon, her sister Lillian Thomas, and a number of other professional women formed the Political Equality League (PEL) and launched a sharp, concerted campaign that pulled in support from the Manitoba Grain Growers’ Association, the WCTU, and the Manitoba Direct Legislation League. Several men, including Grain Growers’ Guide editor George Chipman and journalist Fred Dixon, joined the league. Before long, the PEL had 1,200 members. Grain Growers’ Guide editor-in-chief George F. Chapman appointed feminist Francis Beynon as editor of the weekly’s woman’s page. Since the Guide’s creation in 1908, it had published articles and letters on suffrage. Chapman was a noted supporter of the movement. Beynon would edit the section until June 1917. The Edmonton Equal Franchise League, Alberta’s first organization wholly dedicated to suffrage, was established. Created on the heels of the United Farmers of Alberta’s pro-equal rights resolution, the League included male members such as the University of Alberta’s Dr. W.H. Alexander. Female members included Emily Murphy and Nellie McClung. The BC Political Equality League held a membership drive on the legislature’s first day of session in 1913. The outdoor event included speeches as pamphlets and a suffrage petition were circulated. The drive kept enfranchisement in public view. Delegates from the BC Political Equality League presented a suffrage petition to Premier Richard McBride. While the premier had previously mentioned that not enough women appeared interested in the right to vote, the petition contained some 10,000 signatures. At the meeting, McBride was evasive. Six days later, he refused the PEL’s request in the Legislature. A delegation of suffragists gathered before the Manitoba Legislative Assembly. The group included Nellie McClung, who demanded, “Give us our due!” Conservative Premier Sir Rodmond Roblin responded, stating that, “most women don’t want the vote.” McClung lampooned Roblin’s response the next night in a historic mock parliament. 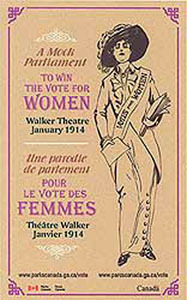 Suffragists held a mock Women’s Parliament at the Walker Theatre in Winnipeg. Nellie McClung played the role of the premier, addressing a group of men seeking the franchise in front of a packed, laughing audience. The event was a financial success and helped render the notion of women’s suffrage more publicly acceptable. The Saskatchewan Provincial Equal Franchise Board was founded in the tiny town of Moosomin. Led by Violet McNaughton, the 50-member board spearheaded the province’s suffrage movement until 1916. It united such disparate groups as the Women Grain Growers and the Woman’s Christian Temperance Union behind a common cause. 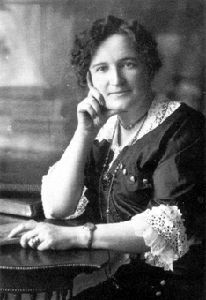 Suffragist Nellie McClung presented the Alberta legislature with a petition demanding that women be given the right to vote. The right was granted in municipal elections 2 months later. The United Farm Women’s Parliament (i.e., annual convention) hosted the president of the Edmonton Equal Franchise League, Dr. W.H. Alexander. During his speech, Alexander praised a recent petition drive, but lamented the lack of representation by the province’s rural women and urged the audience to redouble their suffrage efforts. A delegation from the Manitoba Political Equality League presented two suffrage petitions to Premier Tobias Norris. The group, which included both women and men, had collected nearly 40,000 signatures, stating there was no reason to keep women from voting. Ninety-three-year-old Amelia Burritt presented the second petition 4,250 names. Manitoba was the first province in Canada to grant women the right to vote and to hold political office provincially. Saskatchewan women won the rights to vote and to hold provincial office. 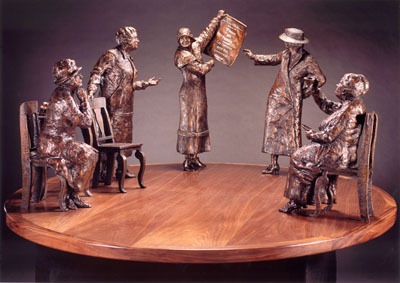 Alberta women won the rights to vote and to hold provincial office. Male voters in British Columbia passed a suffrage referendum, agreeing that women should have the right to vote. Conservative Premier William Bowser had said he would not move on enfranchisement without a referendum, attaching it to the provincial election. Suffragists saw it as a delaying strategy and vigorously campaigned for the Liberal party. British Columbia women (except Asians and Aboriginals) won the rights to vote and to hold provincial office. Louise McKinney and Roberta MacAdams were the first women in Canada elected to a provincial legislature, in Alberta. Conservative MP H.H. Stevens met with members of the BC United Suffrage Societies (USS) after he had mused, in the House of Commons, about its ability to represent women in BC. The USS was not pleased that Stevens had raised one woman’s telegram — in which she argued that the USS did not speak for BC’s patriotic women — as an example of BC women’s opinion. Mary Ellen Smith was the first woman elected to the BC legislature; it was the first election in which women could vote in BC. Sarah Ramsland, Saskatchewan’s first female Member of the Legislative Assembly, won her seat in a by-election. After her husband, MLA Max Ramsland, died in the 1918 influenza epidemic, Sarah was invited to run in the same district and won. In the first 66 years in which Saskatchewan women could hold provincial office, only 10 were elected. 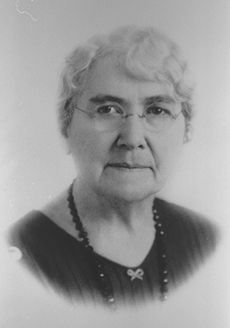 Edith MacTavish Rogers became the first woman elected to the Legislative Assembly of Manitoba. Irene Parlby was elected to the Alberta Legislature, representing Lacombe in the United Farmers of Alberta government. She was subsequently named to Cabinet, as minister without portfolio. Parlby was only the second woman in the British Empire to hold ministerial office. She was particularly active on issues related to public health care, improved wages for working women and married women's property rights. Helena Gutteridge became the first female member of the Vancouver City Council. Gutteridge had been a force in the political scene for several decades. A noted feminist and socialist, she worked tirelessly for enfranchisement during the suffrage movement and for workers’ rights. Nancy Hodges was named Speaker of the BC Legislature, the first woman to hold the post of Speaker in the British Commonwealth. Social Credit leader Rita Johnston was sworn in as BC's 29th premier, subsequently becoming both Canada and BC's first female premier. Alison Redford was elected leader of the Alberta Progressive Conservative Party after Ed Stelmach’s resignation, making her the province’s first female premier. Redford led her party to victory in the 2012 provincial election.